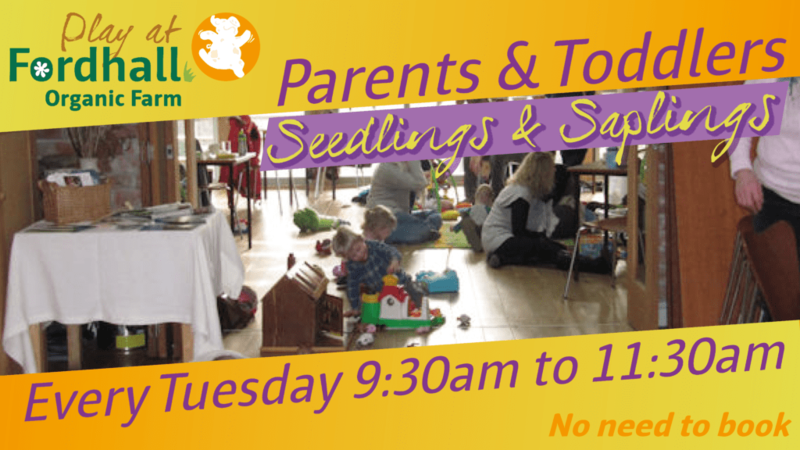 Every Tuesday at Fordhall Farm is our ‘Parent and Toddlers’ Group – FREE!. In our secure and beautiful classroom there are various toys and activities to keep your children entertained, to learn about new sights, sounds and textures and to explore the farm and see what gorgeous creatures you might discover! 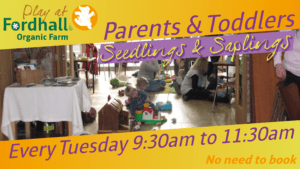 A lovely space for you to meet other parents let the children play. Tuesdays 9:30am to 11:30am FREE to attend and there is no need to book – just come along – it’ll be great to see you.